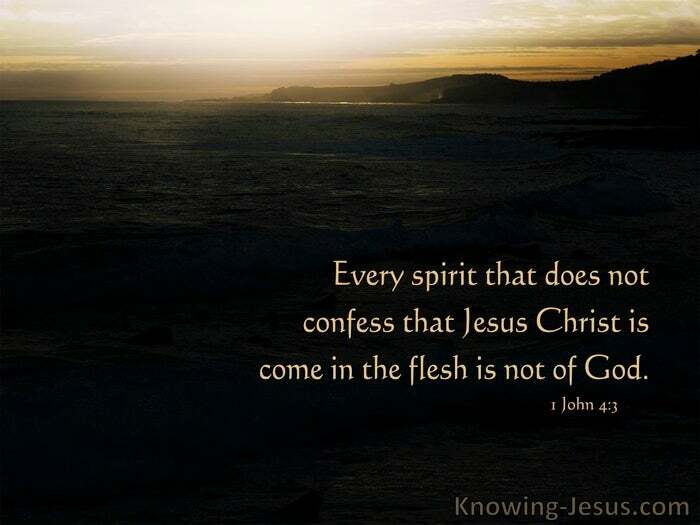 And every spirit that does not confess that Jesus Christ is come in the flesh is not of God. This is the spirit of antichrist; you have heard that he is coming, and he is already in the world now. The two natures of Christ is a simple concept and yet it has a profound reality. Christ was fully God – and as such he had the very nature and attributes of God. He was the radiance of the glory of God and the exact imprint of God’s nature. As God He could legitimately say – I AM the root and the offspring of David. And as God He could rightfully claim – before Abraham was I AM. But Christ was also fully Man – and as such he had a human nature – yet without sin. He was a man with a mind and emotions and He had a human body, a soul and spirit. 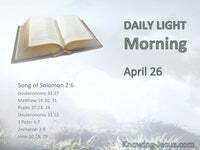 As Man He grew weary and could legitimately say, I thirst – give me to drink… and as Man He could rightfully say to the High Priest at His trial – you will see the Son of Man sitting at the right hand of the Mighty One and coming on the clouds of heaven. As God He was still the omnipotent, omniscient, infinite, eternal, universal Creator – as Man He began His life as a babe in Bethlehem – and gave His life a ransom for many. 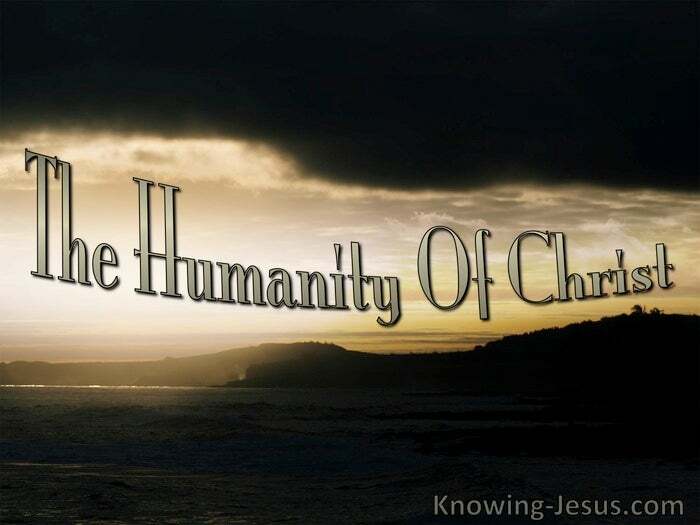 The reality of Christ’s human nature links Him irrefutably with the whole human race, and though Christ must never be divorced from His deity, He became a man and He participated in the history of humankind – having come to this world in the likeness of sinful flesh. It was for us that the perfect uncreated God of the universe, became perfect Man and Who in the fullness of time – and for our sakes become our perfect Saviour. Both the deity and the manhood of Christ is challenged today in differing quarters but unless fully God and fully Man, united in one Person – He could never have become the perfect Sin-Sacrifice for humanity. He could never have become our Substitute Saviour. 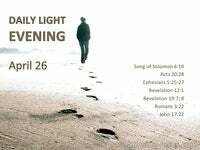 Jesus Christ, though fully God throughout His sojourn on earth was indeed fully man. His ancestry through both His adoptive father and human mother is listed in the Bible. His physical appearance was that of a normal man as He met with people on the road. His was endowed with the essence of humanity.. His body became weary – His soul sorrowful, His spirit was committed to the Father and He was filled with compassion. 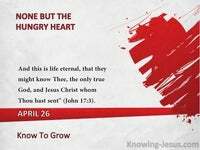 From a biblical standpoint the humanity of the Lord Jesus Christ is unquestionable. 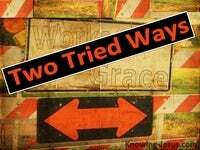 Denial of the true human nature of Jesus Christ (together with denial of His deity) – are probably the two most vital components in the whole of the Christian faith. Unless fully human He could never have been our kinsman-Redeemer - our sin-substitute... for only a representative from the fallen race of humanity could pay the price for sin. Unless fully God, He could not have saved Himself nor could He have saved us – for only God Himself is good enough to pay His own required price for the sin. Indeed, denial of the true humanity is so serious in the eyes of the apostle John, that it he considers it to be the mark of an antichrist – and should be defended at all costs. The two natures of Christ is a simple concept and yet it contains a profound reality. Without the two natures of Jesus Christ humanity has no Saviour and no Salvation, but by faith in the unique person and work of Jesus Christ – as Son of God and Son of Man we are given the free gift of life – eternal life – abundant life – by God’s grace.